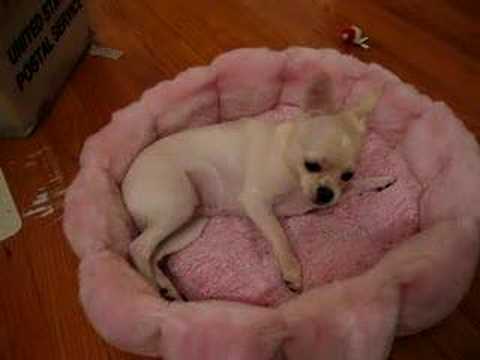 Today’s funny dog video features Flower, the Chihuahua who is pretty cute and pampered in her little pink bed.. In today’s funny dog video you’ll get to see an adorable six month old Boxer dreaming. Wouldn’t it be great to know what they’re dreaming about.. This funny dog video shows Tillman the skateboarding bulldog doing his stuff. This dog just loves the skateboard and carries it around with him everywhere. Apparently he just picked up the board one day and taught himself.. This is Tillman in the iphone commercial enjoying a day of skateboarding at Venice Beach. Today’s funny dog video captures a dog just when it starts to dream. The dog’s name is Shiba and she is obviously dreaming of something interesting..